36th Annual MRI of the Body & Heart 2019: National Symposium is organized by Educational Symposia (ESI) and will be held from Apr 26 - 27, 2019 at Wynn Las Vegas, Las Vegas, Nevada, United States of America. 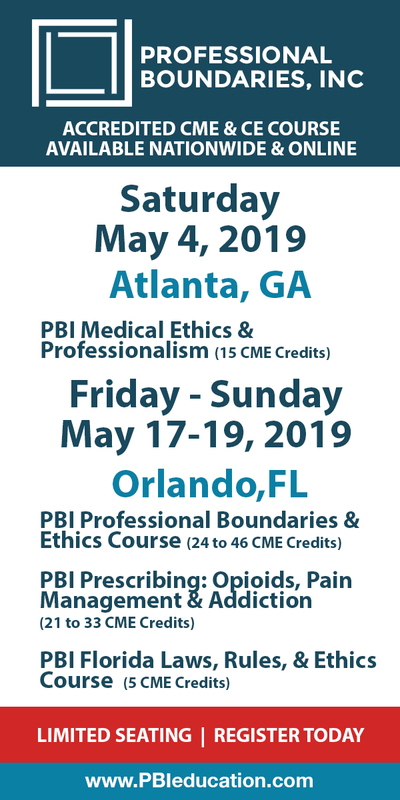 Meeting Accreditation: Physicians: Educational Symposia is accredited by the Accreditation Council for Continuing Medical Education (ACCME) to provide continuing medical education for physicians. Educational Symposia designates this live activity for a maximum of 6.75 AMA PRA Category 1 Credit(s)TM. Physicians should claim only the credit commensurate with the extent of their participation in the activity. Technologists: This program has been submitted to the ASRT. The number of A CE credits will be available approximately 30 days prior to the meeting. Please visit www.edusymp.com or call 1-800-338-5901 regarding the availability of Category A CE credit. Self-Assessment Modules (SAMs): Educational Symposia has been granted Deemed Status by the American Board of Radiology (ABR). This allows Educational Symposia to develop and implement SAMs that satisfy ABR Part II MOC requirements. If you can not attend the Live Meeting please join us for the Live Webcast: https://www.edusymp.com/product/details/1159 About The Meeting: This symposium provides a practical, comprehensive review of the important aspects of clinical body, heart and breast MRI. Physicians practicing body and heart MRI should gain knowledge on the expanding clinical applications of MRI in addition to safe and efficient scanning protocols. New this year is a focused session on Artificial Intelligence and Cultural Change in Diagnostic Imaging. This special session is designed to help you improve your practice and the overall patient experience. ** There will be a $100 surcharge for anyone registering after April 11, 2019 ** Target Audience: This CME activity is designed to educate diagnostic imaging physicians who supervise and interpret MRI/ MRA studies of the body and heart. This CME activity should also be useful for referring physicians who order these studies so that they might gain a greater appreciation of the strengths and limitations of clinically relevant MRI studies. MRI technologists should also find this activity beneficial. Educational Objectives: Attendees should, at the completion of this course, be able to: • Optimize body MRI protocols and techniques. • Discuss the utility of MRI in the evaluation of hepatobiliary and breast disease. • Describe the expanding role of MRI when used to evaluate cardiovascular disease. • Discuss the evolving imaging applications of MR angiography. No special educational preparation is required for this CME activity. The Complex Geriatric Patient is organized by Healthclick and will be held from Apr 27 - 28, 2019 at Summerlin Hospital Medical Center, Las Vegas, Nevada, United States of America. 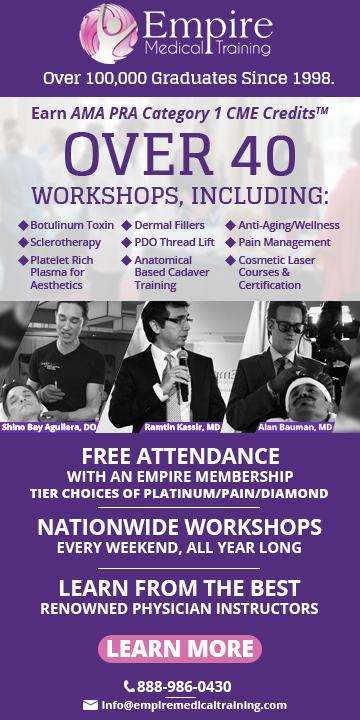 The target audience for this medical event is for PT, PTA, OT, OTA, AT. This CME Conference has been approved for a maximum of 16 hours of CME credit. CME : This CME Conference has been approved for a maximum of 19 contact hours/1.9 ceu’s for therapists licensed in Illinois, New York, or the District of Columbia. Conference Description : Identifying the optimal treatment progression for a complex patient is essential in today’s health care environment. Therapists must combine all of their skills, whether neurological or orthopedic, in order to develop progressive programs that are efficient and safe for geriatric clients. This intermediate-level course begins with more than two hours of evidence-based information, a preliminary lead-in as to how to treat your complex geriatric patient. In addition, essential information will be provided on how to identify red flags, perform thorough evaluations and set realistic functional goals for the complex geriatric patient. Case studies of patients with multiple diagnoses will be presented in a systematic sequence so that the appropriate understanding of how to prioritize your approach can be established. Working with developmental sequences will enhance the patient’s coordination, balance, strength and range of motion and will produce a positive result in the patient’s ability to perform activities for daily living, maximize fall prevention, and reduce re-hospitalization. By utilizing developmental sequences in conjunction with traditional rehab practices, therapists should possess the knowledge base to treat complex geriatric patients with multiple diagnoses, including MS, Parkinson’s, post CVA, head injuries, obesity, total hip and/or knee repairs, osteoarthritis, as well as other orthopedic issues. This course will sharpen your critical thinking and creative problem-solving skills. Patient scenarios and video analysis will be used to identify impairments of ADL’s for both the neurological and/or orthopedic geriatric patient. Participants will have plenty of hands-on time for practicing neuro-developmental sequencing, joint mobilizations and manual therapy, progressive functional activities and exercises. This course will provide physical therapists, physical therapy assistants and occupational therapists with the skills needed to treat the complex geriatric patient. The theories and facilitation techniques learned will benefit therapists working in acute rehab, outpatient and home health settings and can be immediately applied to clinical practice. Clinicians will be provided with course handouts and resources to serve as reference material upon completion of the course. Conference Objectives are : • Assess vital signs, cognitive function, cardio, respiratory function and skin integrity, balance and functional limitations of the complex patient. Applying these skills when working with the acute rehab, outpatient or the home bound patient. • Demonstrate how to utilize the proper cognitive and functional evidence-based assessment tools to establish baselines and progression of care to reach targeted outcomes. • Describe the benefits to utilizing progressive developmental sequencing to optimize coordinated functional movement. • Utilize evidence-based tools to evaluate deficits in mobility and/or stability in the complex geriatric patient. • Develop strategies to reducing re-hospitalization rates. • Analyze abnormalities in the components involved with functional movements and prioritize a treatment approach to improve an individuals functional patterns of movement. • Prioritize impairments when developing comprehensive treatment programs for the geriatric patients with neurological and/or orthopedic problems. • Perform hands on techniques to facilitate the functional activities of daily living; including soft tissue mobilization, manual therapy (PNF), joint mobilization, muscle strengthening, and range of motion activities. • Describe the initiation of movement (stability to mobility and coordination) when utilizing developments sequencing to enhance functional motion. • Identify key strategies for interventions for fall prevention. • Integrate basic EBP principles of treatment into the developmental sequence for more comprehensive functional outcomes. • Discuss strategies for billing and job opportunities in our ever-changing health field. Additional details will be posted as soon as they are available. Rheumatology Association of Nevada (RAN) 4th Annual Meeting is organized by WJ Weiser and Associates, Inc and will be held on Apr 27, 2019 at Planet Hollywood Resort & Casino, Las Vegas, Nevada, United States of America. The target audience for this medical event is Rheumatologists. Additional details will be posted as soon as they are available. Trauma Center Association of America (TCAA) 22nd Annual Trauma Conference is organized by Trauma Center Association of America (TCAA) and will be held from Apr 28 - May 03, 2019 at Luxor Hotel & Casino, Las Vegas, Nevada, United States of America. Continuing Education Hours (CME/CE) CME'S Accreditation: Carolinas HealthCare System-NorthEast is accredited by the North Carolina Medical Society to provide continuing medical education for physicians. Faculty Disclosure: Carolinas HealthGare-NorthEast adheres to the North Carolina Medical Society Essential Areas, Elements and Criteria regarding industry support of continuing medical education. Disclosure of faculty and commercial relationships, if any, will be made known at the activity. Speakers are also expected to openly disclose discussion of any off-label. experimental, or investigational use of drugs or devices in their presentaticns. Credit: Carolinas HealthCare System-NorthEast designates this educational activity for a maximum of 42.09 AMA PRA Category I Credit(s)TM. Physicians should claim only credit commensurate with the extent of their participation in the activity. Topic: The University of Kentucky College of Medicine is accredited by the ACCME to provide continuing medical education for physicians. The University of Kentucky College of Medicine designates this live activity for a maximum of 8.0 AMA PRA Category 1 Credit(s)T'". Physicians should only claim credit commensurate with the extent of their participation in the activity. CE'S Nursing CE's are available for the following courses through the California Board of Registered Nursing (provider number 16459): Finance & Business, IP Symposium, Dynamic Leadership Team, Trauma University, PTSD, Annual Meeting, -PM and TARP. Topic: Society of Trauma Nurses is accredited as a provider of continuing nursng education by the American Muses Credentialing Center's Commission on Accreditation. This course has been awarded 8.25 :ontact hours. Dialectical Behavior Therapy (DBT): 4-day Intensive Certificate Course is organized by PESI HealthCare and will be held from Apr 29 - May 02, 2019 at The Platinum Hotel & Spa, Las Vegas, Nevada, United States of America. This CME Conference has been approved for a maximum of 25.0 AMA PRA Category 1 Credit(s). Target Audience: • Counselors • Psychologists • Psychotherapists • Psychiatrists • Social Workers • Marriage & Family Therapists • Addiction Counselors • Case Managers • Nurses • Mental Health Professionals Course Description: Dialectical Behavior Therapy (DBT) has evolved from the go-to treatment for borderline personality disorder to one of the most recognized and sought after therapies for a variety of difficult to treat client problems. The increasing pressure to adopt treatments that work makes DBT skills and strategies a must-have for all types of therapists. For those who feel that pressure but fear becoming a “manual manic”, relax. Dr. Lane Pederson teaches how to follow the manual yet make thoughtful customizations consistent with evidence-based practices and always grounded in the therapeutic alliance. Covering DBT from theory to clinical application, including the use of diary cards, behavioral analysis, contingency management, and multi-layered validation, this certificate course welcomes those implementing DBT in standard and adapted ways as well as those wishing to simply add DBT skills and techniques to their eclectic or integrative style. If you have felt limited or stuck with your therapy skills or ready to give up on certain clients, this certificate course will breathe new life into your work. You will leave ready to use the essentials of DBT listed above as well as skills from the Mindfulness, Distress Tolerance, Emotion Regulation, and Interpersonal Effectiveness Modules with your clients, enjoying new confidence in and effectiveness with your clinical skill set. Objectives: • Discriminate DBT from the contextual model of therapy. • Evaluate DBT research in light of the contextual model and the Evidence-Based Practice of Psychology(EBPP). • Correlate DBT philosophies and interventions to the therapeutic factors that most improve outcomes. • Explore dialectic philosophies and their application in therapy. • Determine how the core assumptions of DBT are put into action in therapy. • Assess how DBT theory drives therapeutic interventions. • Communicate how to balance validation and change strategies in clinical situations. • Integrate mindfulness techniques into therapy • Implement an effective therapy structure that includes identifying clear treatment goals. • Practice how to effectively teach the four standard DBT skills modules - mindfulness, emotion regulation, distress tolerance and interpersonal effectiveness. • Design teaching strategies for skills training sessions. • Plan and teach supplemental DBT skills and modules. • Practice DBT skills training techniques in small groups. • Recommend how to seamlessly integrate DBT skills into individual therapy. • Discriminate the DBT model from cognitive-behavioral, client-centered, and other treatment modalities. • Practice a multi-layered approach to validation of clients' thoughts and feelings. • Establish balance validation with the most effective (and practical) methods of behavior change. • Practice reciprocal and irreverent communication styles, to be utilized within the therapy session. • Comment on the key differences between traditional cognitive interventions and DBT-style cognitive interventions. • Practice therapy techniques with effective pacing, balance, and flow. • Articulate when to use (and not to use) exposure techniques. • Employ DBT diary cards and chain (change) analysis. • Propose how to operate with consultative groups and treatment teams. • Assess and manage self-injurious and suicidal behaviors with clear protocols and safety plans. • Establish clear plans for crisis management, including psychiatric hospitalizations. Additional details will be posted as soon as they are available. Emergency and Urgent Care Course is organized by American Academy of Family Physicians (AAFP) and will be held during May 01 - 04, 2019 at Flamingo Las Vegas, Las Vegas, Nevada, United States of America. Additional details will be posted as soon as they are available. American Society of Interventional Pain Physicians (ASIPP) 21st Annual Meeting is organized by American Society of Interventional Pain Physicians (ASIPP) and will be held during May 02 - 04, 2019 at Caesars Palace, Las Vegas, Nevada, United States Of America. Additional details will be posted as soon as they are available. Advanced Life Support in Obstetrics (ALSO) Provider Course is orgainzed by American Academy of Family Physicians (AAFP) and will be held from May 02 - 03, 2019 at Flamingo Las Vegas, Las Vegas, Nevada, United States of America. This Live activity, ALSO Provider Course, with a date range of 5/2/2019 - 5/3/2019, has been reviewed and is acceptable for up to 8.75 Prescribed credits by the American Academy of Family Physicians. Physicians should claim only the credit commensurate with the extent of their participation in the activity. Maintenance of Certification (MOC): The American Board of Obstetrics and Gynecology (ABOG) MOC standards now allow participation in ABOG-approved Simulation Courses to meet the annual Improvement in Medical Practice (Part IV) MOC requirement. Description: This one-day course format is available for Advanced Life Support in Obstetrics (ALSO). This newly evolved course is an evidence-based interprofessional training program that prepares members of the entire maternity care team to better manage obstetric emergencies through teaching standardized approaches to care. This comprehensive course encourages team-based learning amongst physicians, residents, nurse midwives, and registered nurses in order to improve patient safety and positively impact maternal outcomes. Learners will successfully complete required online course elements at their own pace prior to attending the one-day live portion of the course. The live portion of the course then provides multiple hands-on opportunities for learners to practice their skills and apply what they have learned. This is accomplished by rotating learners through interactive group case study workstations, in situ skills workstations, and simulated hands-on group testing scenarios throughout the day. Additional details will be posted as soon as they are available.